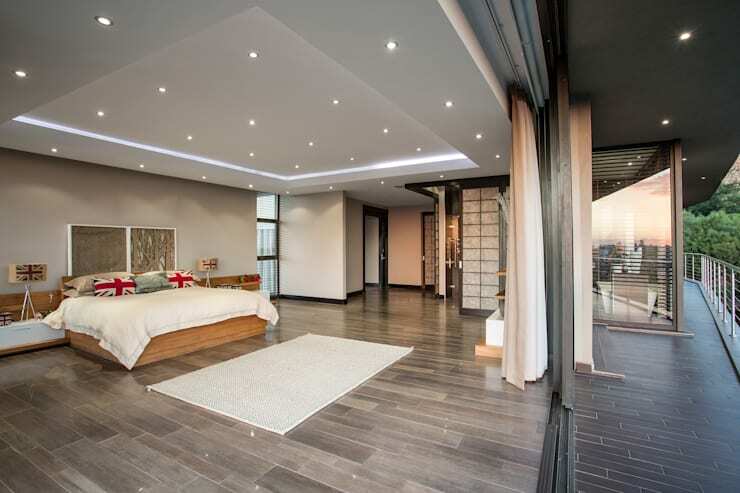 Prime architectural firm Francois Marais Architects is in charge of today’s find; a striking modern home in Bedfordview that showcases exactly why these professionals are so well known in their field. 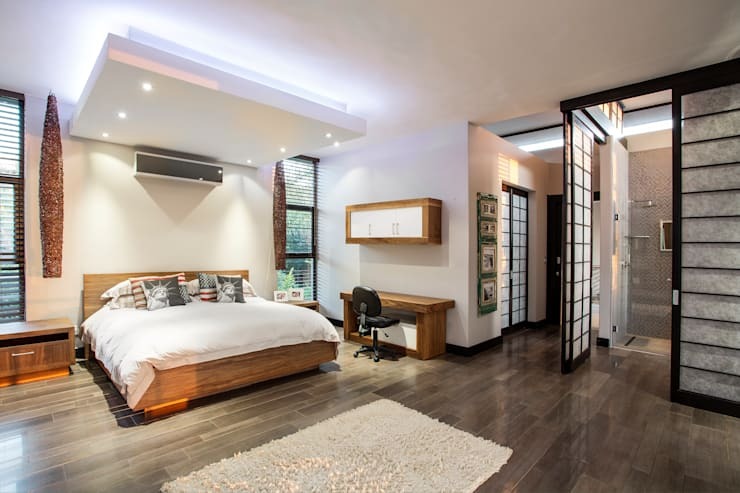 It’s no mystery why this project was named “Home on a Hill”, as this gorgeous home is perched on a hill overlooking the Johannesburg cityscape. Due to the uniqueness of the site, it allowed the architects to design a sculptural element on the landscape. Set high up on a hill, the position allowed the house form to become a sort of rock feature protruding from the landscape. 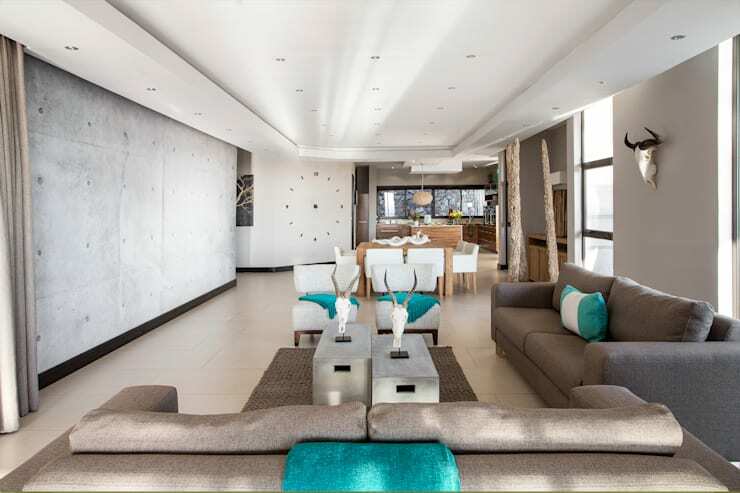 But even though that magnificent view is one of this house’s main features, it’s also its physical structure and glamorous interiors that should be noted. The total cost of this glorious design? 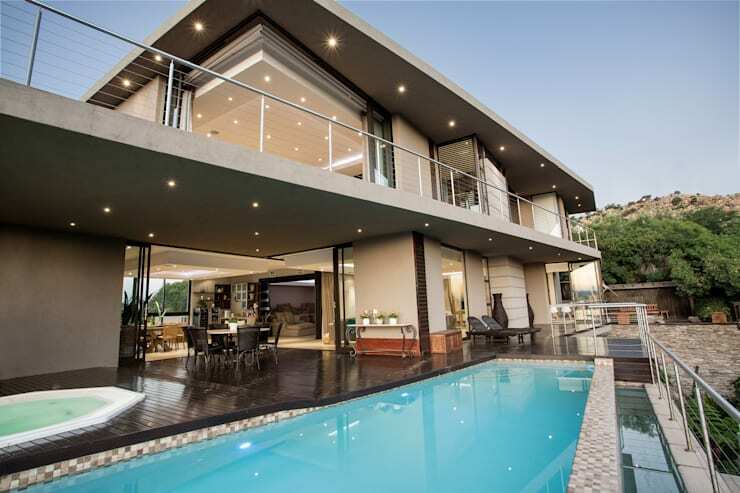 A cool R45 million. Already on the outside our breaths are taken away – just see how the various storeys are neatly stacked atop one another. Adding to the modern vibe is that soft earthy colour palette, enhanced superbly by the artificial lighting sources adding a strong dose of dazzle to the façade. 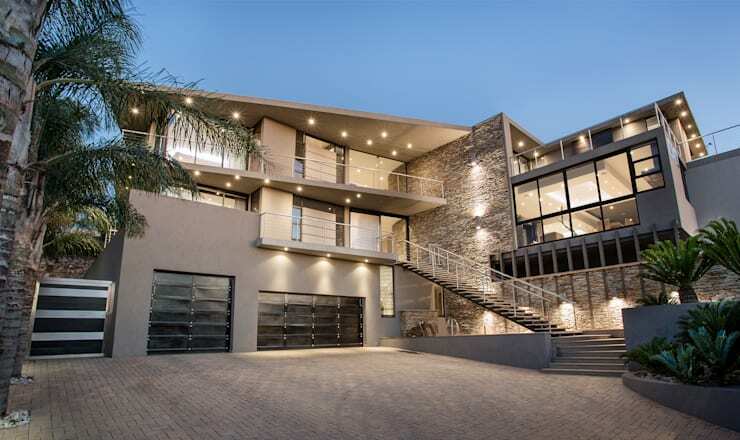 And just to reiterate, this gorgeous structure really is situated on a sloping site, enhancing not only that magnificent cityscape view, but also the majestic presence of this modern home. 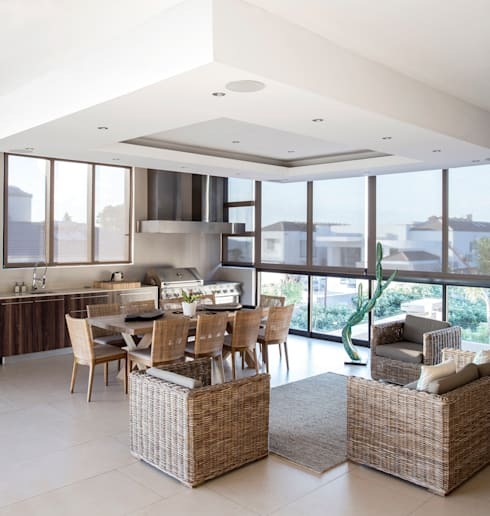 For the heart of the home, an open-plan layout was chosen. 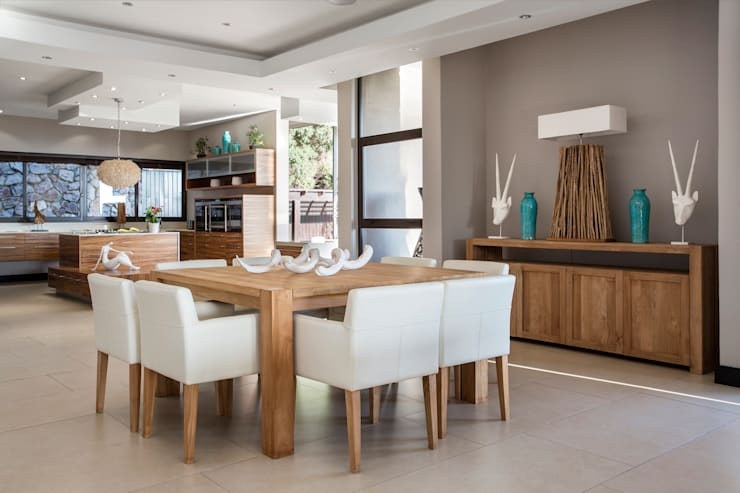 Here we see how the kitchen, dining area and lounge all share a seamless layout, plus a top-notch view of the surrounding cityscape. 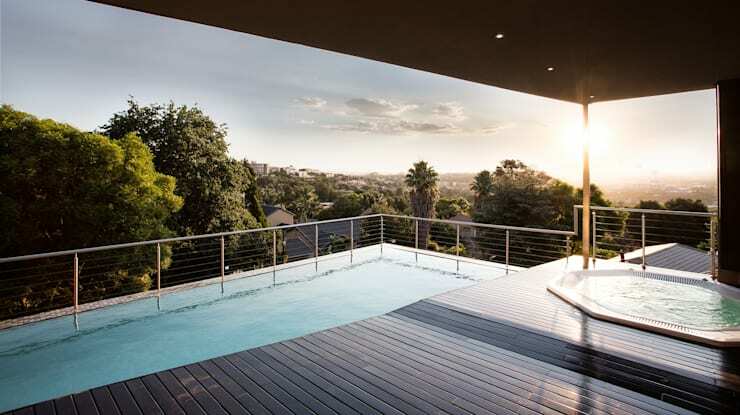 As far as socialising goes, this house is ripe and ready, judging by this amazingly spacious deck flowing out of the interiors and into a swimming pool (which also gets to share in that fantastic view). Let’s get more inspired by this gorgeous design of a house. 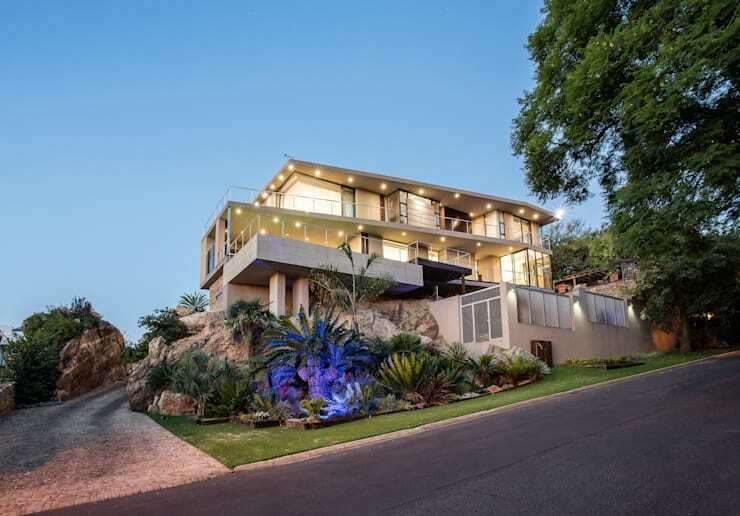 And speaking of million-rand views, you need to check out The tranquil style of Salt Rock’s House BellaVida. A dream design, or not your style at all – tell us what you think of this house!